Did you know there was a white woman who was murdered by the Klan because of her involvement in the American Civil Rights Movement? Did you know she was a wife and mother of five children? 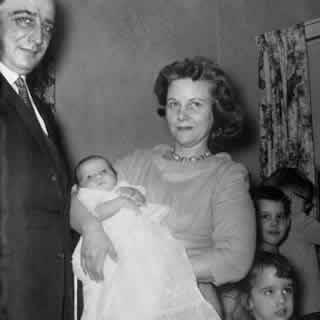 That woman was Viola Liuzzo (1925-1965). She sacrificed her life for Civil Rights. Viola Fauver Liuzzo belonged to the NAACP at the height of the civil rights movement. In 1965, she marched with Martin Luther King from Selma to Montgomery. After the march, Liuzzo and her black co-worker, Leroy Merton, shuttled marchers to the airport. They were spotted by four Ku Klux Klansmen (one of whom was on the FBI’s payroll) who followed the pair and shot them. Liuzzo died instantly. Merton survived. Can someone explain to me why this woman’s photograph isn’t on the wall in every classroom in America? After years, decades, centuries of struggle, the Black civil rights movement celebrated one of its greatest triumphs on March 25, 1965. On that historic day, some 25,000 pro testers of all nationalities marched into Montgomery, Ala.–a former capital of the slave-owning Confed eracy in the 19th century. The protesters were completing a four-day march from Selma, Ala. An attempt to march the same route earlier in the month to protest the Feb. 18 killing of African American voter-rights activist Jimmy Lee Jackson had been met with intense repression. On Sunday”–March 7, 1965–Alabama state troopers on horseback had tear-gassed and mercilessly clubbed 600 women, men and children as they marched peacefully across the Edmund Pettus Bridge. After this outrage, civil-rights leader the Rev. Martin Luther King sent out an appeal across the country for all who supported the African American freedom movement to come to Selma. One of the thousands who answered that call was Viola Liuzzo, a 39-year-old white woman from Detroit. On the evening of March 25, as she was ferrying an African American marcher back to his home in her car, a carload of Ku Klux Klan members forced her car off the road, shot and killed her. Liuzzo was the only white woman to give her life during the Black civil-rights movement of the 1960s. With that sacrifice, she joined a handful of white men, like the Rev. James Reeb, killed in Selma earlier the same month. She also joined the hundreds of thousands, the millions, of known and unknown Africans and African Americans who had fought and died for their freedom—from the 40 who fell in battle against South Carolina slave owners at Stono River in 1739, to Jimmy Lee Jackson. Jackson, a 27-year-old farm laborer and pulpwood cutter, who was shot down on Feb. 18, 1965, at a voter-rights protest in Marion, Ala., as he attempted to protect his mother and grandfather from the clubs of the state troopers. A recently released film, “Home of the Brave,” dir ected by Paola di Florio, attempts to document Liuzzo’s life and legacy. It does give a glimpse into the background of this almost unknown anti-racist fighter, but without fully exploring all the forces that shaped her. What experiences led Liuzzo to reject racism and segregation, and to journey South into struggle? She was born in 1925 into a coal-mining family in Pennsylvania. Her father made 50 cents a day when he could find work. He received no compensation from the mine owners after he lost a hand in an accident. 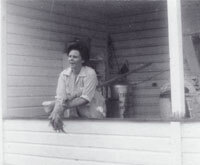 As the family quickly sank into poverty and moved from town to town through Tennessee and Georgia, Liuzzo saw firsthand the violence and degradation of racism toward African Americans. During World War II the family moved North to find jobs. Her father worked at a bomber plant in Ypsilanti, and her mother at a Ford plant in Detroit. Liuzzo found wartime work in a cafeteria, married, and became close friends with Sarah Evans, an African American woman through whom she joined the NAACP. After the death of one of her children at birth, she broke with the Catholic Church because it decreed that unbaptized babies spend eternity in “limbo.” She joined a local Unitarian Universalist Church where many of the members had been Freedom Riders in an earlier struggle against segregation in public transportation. After Liuzzo’s death, the FBI under J. Edgar Hoover began a smear campaign against her. She was red-baited and accused of sexual immorality, in particular with African American men. An FBI informant, Gary Rowe, was implicated in her death. He was in the car on the night of her killing with Klan members subsequently charged with her murder. The three Klansmen were acquitted by the state, but later served 10-year federal sentences for violation of Liuzzo’s civil rights. Rowe was never charged for any crime and escaped into the Federal Witness Protection Program. African American hanging from a noose in their campground. But the film doesn’t explore the larger economic and social factors that inexorably shape the lives of every child in her or his own historical period, no matter what their parents’ politics. Liuzzo’s oldest daughter, Mary Lille boe, offers the beginning of an explanation more rooted in the material reality of workers’ lives: “The issues we face are well beyond the immediate. Both the Demo crats and Republicans are capitalist and are wrong. I know this lesser-of-two-evils argument and I think it is very narrow in its vision…. Liuzzo herself was full of hope, and conscious that the future would include more than just her story. It is worth noting that “Home of the Brave” gives no details of Sarah Evans’ political life or history. Di Florio’s documentary does not show Liuzzo’s vision, or her understanding that the struggle was more than her individual story. One scene from the documentary captures the necessity of the continuing fight to secure the most basic democratic rights for oppressed nationalities in the United States. At a voting site in Selma during the 2000 election, a Black poll worker sits at a table side by side with an older white poll worker. The latter is asked what he remembers of Viola Liuzzo, and answers after a sour look that he doesn’t think a woman like that should have come to Selma. The Black man turns to the camera and says that he feels that Liuzzo was a fine woman. And one image of Liuzzo lingers in the mind’s eye: a photograph of her in the line of march, a few miles from Montgomery. She is walking barefooted, carrying her shoes, looking ahead, completely focused on the goal of freedom.